Change Offline Name From "Player"? And how exactly would you go about doing this? 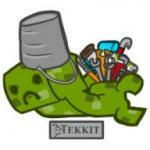 Ultra SkyBlock Tekkit: Taking It Back! so are you planning on hosting this map? thanks, really big files. im surprised that the site let you host them. most sites draw a line at 100mb ahh thats much better, I can actually read the starting message on the monitors now . What version of tekkit were you using because when i tried this, the NOR Gate kept getting destroyed. EDIT: I have made my own system just for moving up one floor at a time from inside the elevator but the button i use actually got stuck and sent a constant signal causing me to move up two blocks instead of one. Solution?